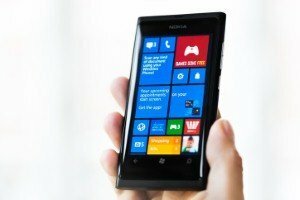 Microsoft has finally admitted defeat in its efforts to provide a viable alternative for iOS and Android in the mobile operating system market, after the company confirmed it would no longer be working on new features or hardware for its Windows Phone platform. The move was not entirely unexpected, as Microsoft has been unofficially signalling for a while that it was dropping support for the operating system. Last year, it cut nearly 2,000 jobs from its Nokia unit, which it paid $7.2 billion (£5.46 billion) to acquire in 2014. This came after research from IDC showed Windows Mobile 10 accounted for just 0.03 per cent of the global smartphone market. Even Microsoft founder Bill Gates recently admitted that he had switched to an Android-powered phone. Now, however, Microsoft has officially acknowledged the death of the platform, with the company's Windows 10 chief Joe Belfiore saying in a series of tweets that the firm will no longer be working on new hardware or software for the Windows Mobile ecosystem. While the platform will continue to be supported with bug fixes and security updates, he stated that "building new features or hardware is not the focus". Mr Belfiore explained that while Microsoft has tried "very hard" to incentivise app makers to work with the platform – even writing software for developers in some cases – but ultimately the number of users on Windows Phone proved to be too low for many companies to invest resources into it. When asked directly whether it is time to leave the Windows platform, Mr Belfiore said: "[It] depends who you are. Many companies still deploy to their employees and we will support them. As an individual end-user, I switched platforms for the app/hardware diversity. We will support those users too." Instead, Microsoft's recent focus has been on delivering its services to competing mobile platforms. Its Edge browser is being brought to Android and iOS, while the firm also recently introduced a new launcher for Android, indicating that this is where Microsoft's future mobile efforts will be.